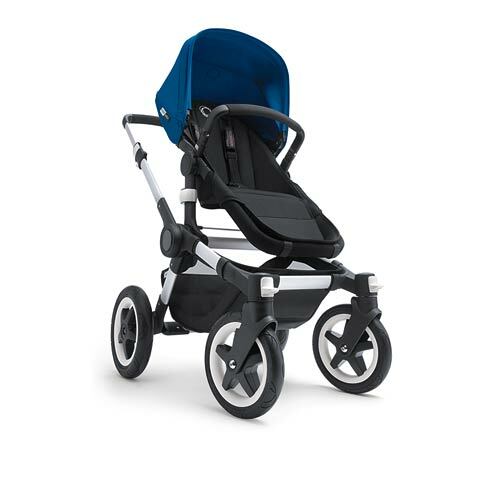 The Bugaboo Buffalo is an all terrain pushchair which will carry your child easily from birth to walking, wherever you wish to travel. 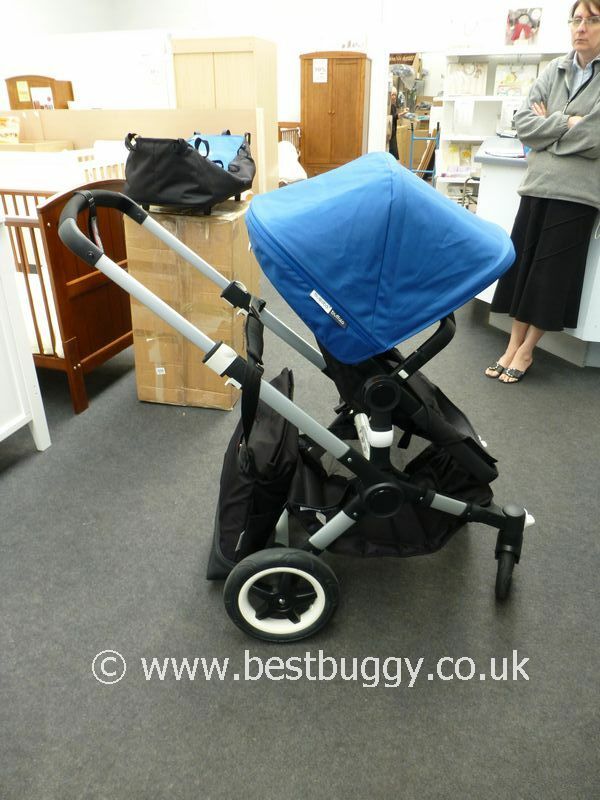 The Bugaboo Buffalo folds compactly in one piece with both the seat and the carrycot left on the chassis. 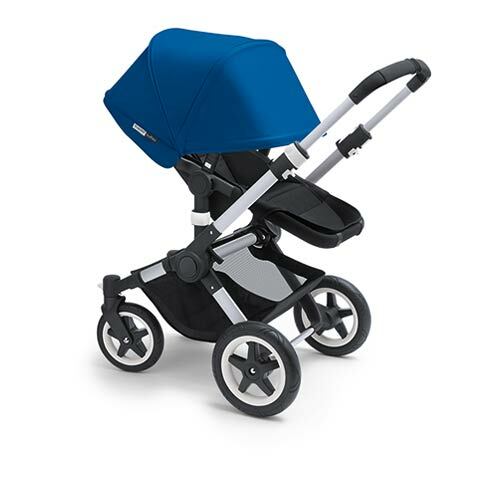 The Bugaboo Buffalo freestands when folded. There is a two wheel position for pulling the Buffalo along in sand, snow or difficult terrain. 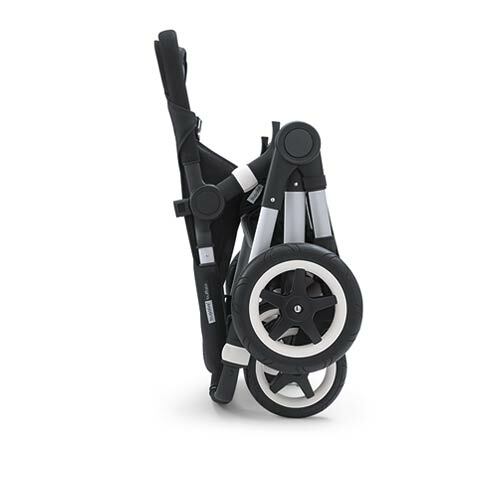 The Bugaboo Buffalo can hold up to 10kgs of luggage underneath the pushchair, but is also the first stroller to have official safety certification to be able to hang up to 6kgs on the handlebar. Great quality. Carrycot included. 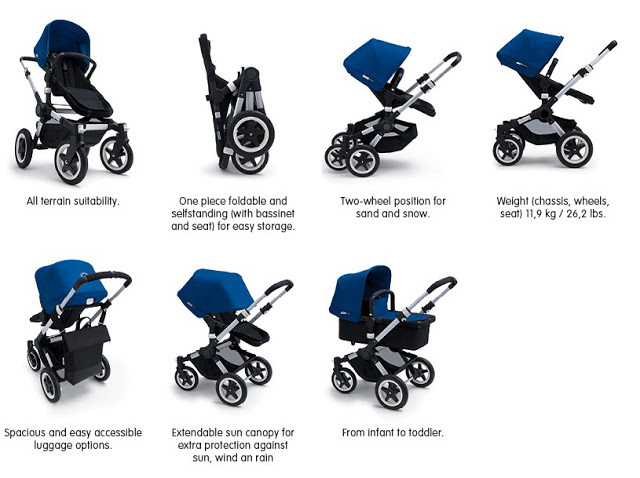 Travel system options. One piece, freestanding fold with the seat facing either direction. All terrain - foam non puncture tyres. Customisable. 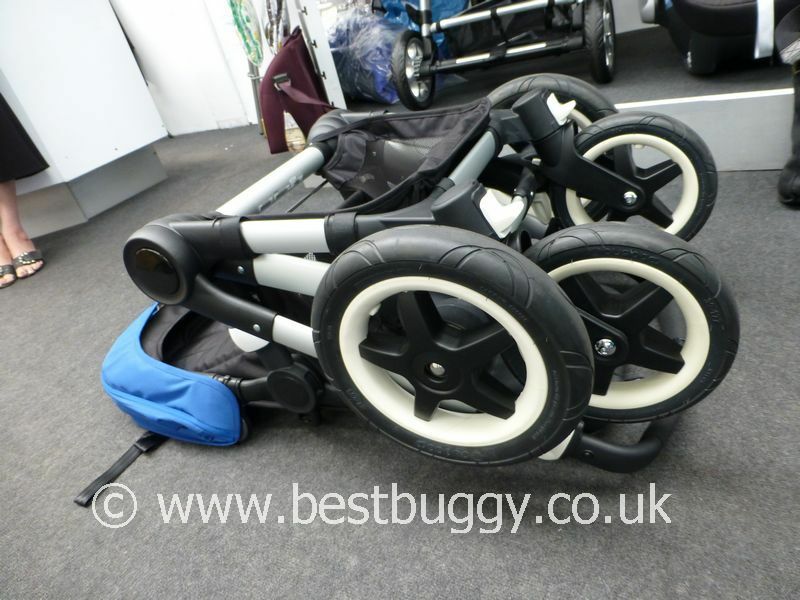 2 wheel pull along position for transversing snow or sand. Lots of storage space. 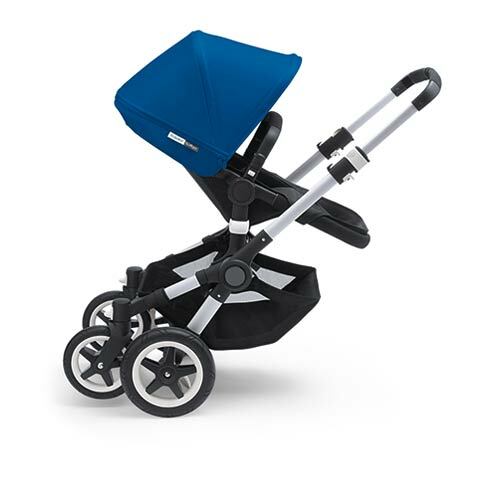 Large, high seat which holds up to 23kgs of child weight! Extendable hood. Customisable with different colours hoods, footmuffs and liners. Gate opening bumper bar. Bag clips on the handlebar hold up to 6kgs. 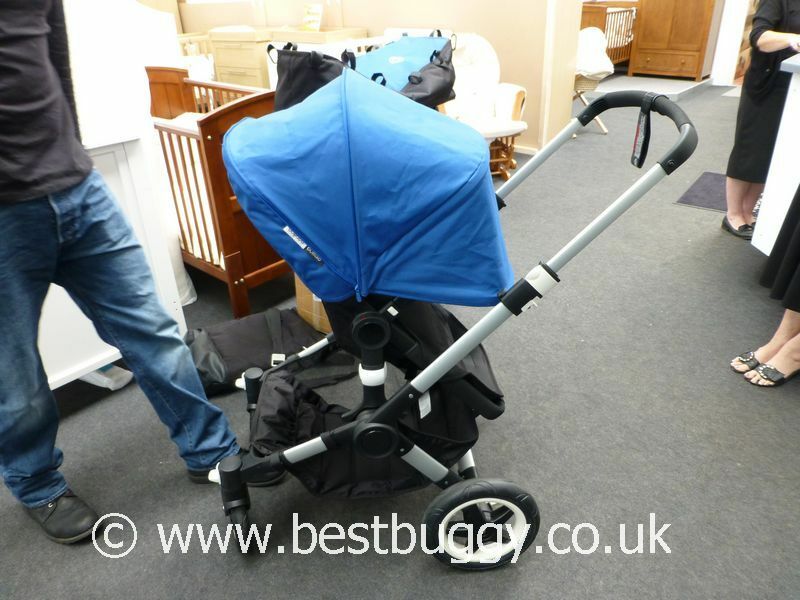 Breathable carrycot mattress. Expensive. Heavy to lift and carry - however the rear wheels are 2.5kgs each and with these popped off (easy to do) this makes a difference to the weight of the Buffalo to carry. Bulky folded. Hood pops off easily. 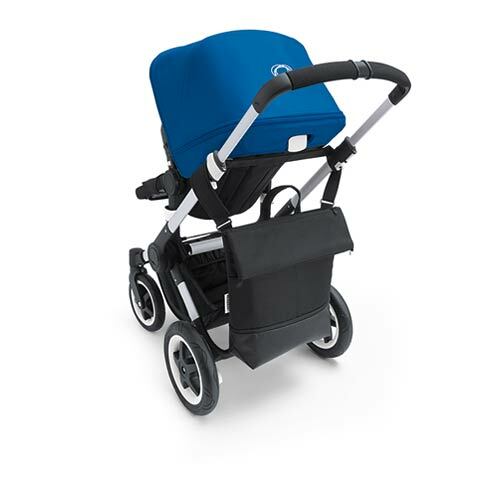 The Bugaboo Buffalo has multiple luggage options and can hold up to 16kgs (35lbs) of luggage! 10kgs in the underneath storage basket and 6kgs from clips on the handlebar. This handlebar weight can be uneven ie 6kgs on one side and nothing on the other, or 2kgs on one side and 4kgs on the other, or one bag across both clips weighing 6kgs. 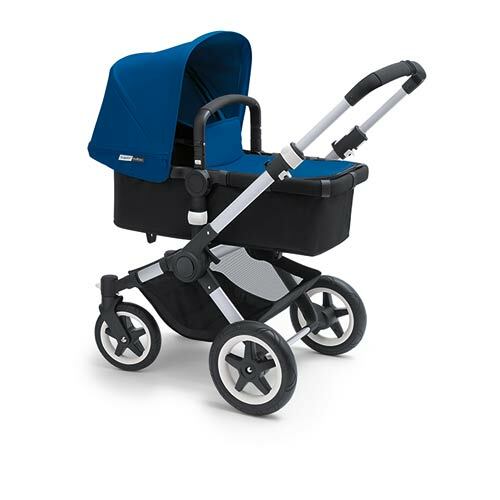 £859 Buffalo chassis with seat unit, carrycot fabric and a tailored fabric set. £770 for the Buffalo chassis. £89 for a set of tailored fabrics. 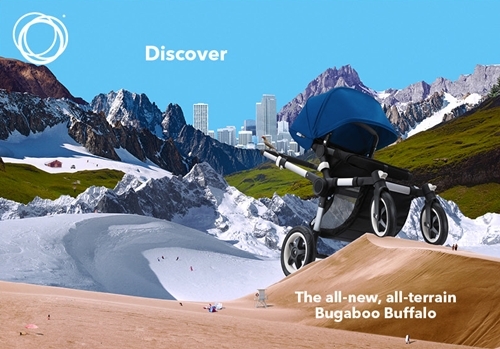 The Bugaboo Buffalo has been released in Europe (Germany, Austria, Belgium, Luxembourg, The Netherlands, Russia, Norway, Denmark and Finland. 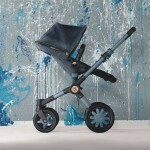 The Bugaboo Buffalo will be sold in Australia and New Zealand from Summer 2013, and will be launched in the UK in Autumn 2013, along with other countries. A US release will be considered later.